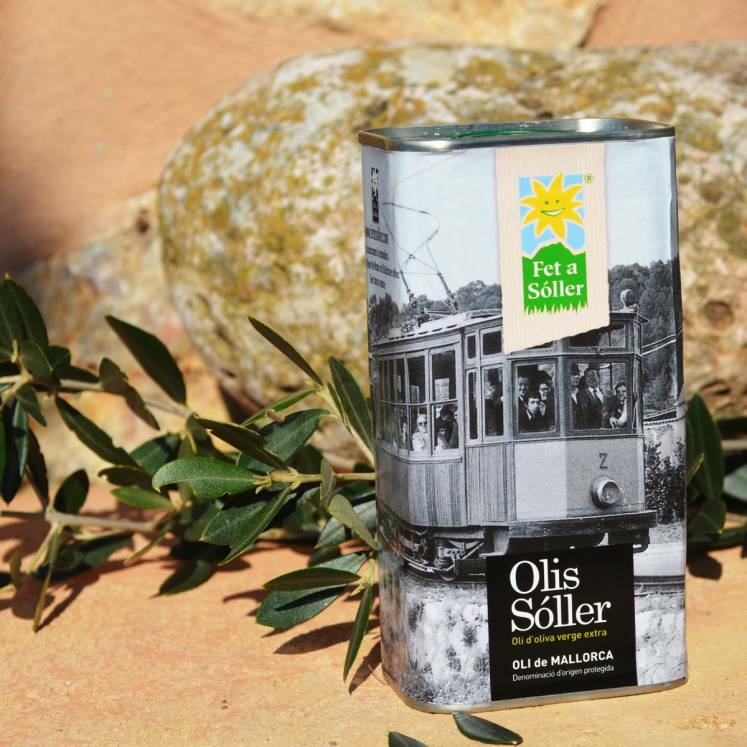 Extra virgin olive oil of the highest grade from "Olis Sóller" in a practical 250ml tin presented in a "historical garment." This has a very special reason: The historical railway (also called "The Red Flash") is celebrating its´ 100th Birthday. In 1912, the maiden voyage took place. Since then, the train commutes every day from Sóller to Palma and transports passengers from all over the world, astonished by the beautiful nature of the Tramuntana Mountains. "Fet a Sóller" is among one of the congratulators, and have packed the high quality olive oil from Sóller in a charming and eyeful box with original designs from the year of.